We are journeying into the newest nation in the world and want to take you along! 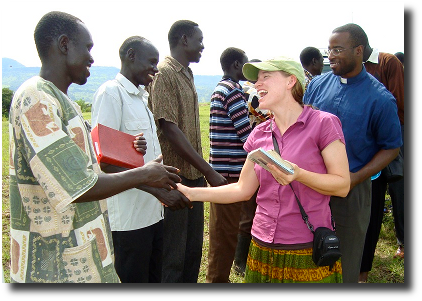 Share in our experiences through the stories and images of our peace work in South Sudan by signing up below. This is a list of the different ways we might have first gotten connected to each other. If you live in the United States, please indicate your state. If you do not live in the United States, please choose "N/A or Outside the U.S."
Please enter your zip code if in the United States so that whenever we pass through your area we can let you know!